A card game to discover how cities are designed. A design toolkit to explore the limits and opportunities your city offers. Methods for everyone to discuss livable cities with each other. A sharing platform that empowers designers, citizens, and municipal actors to think holistically with artworks and design ideas of over 150 contributors. A deck-of-cards designed to share a vocabulary and a set of solutions to discuss public space design. 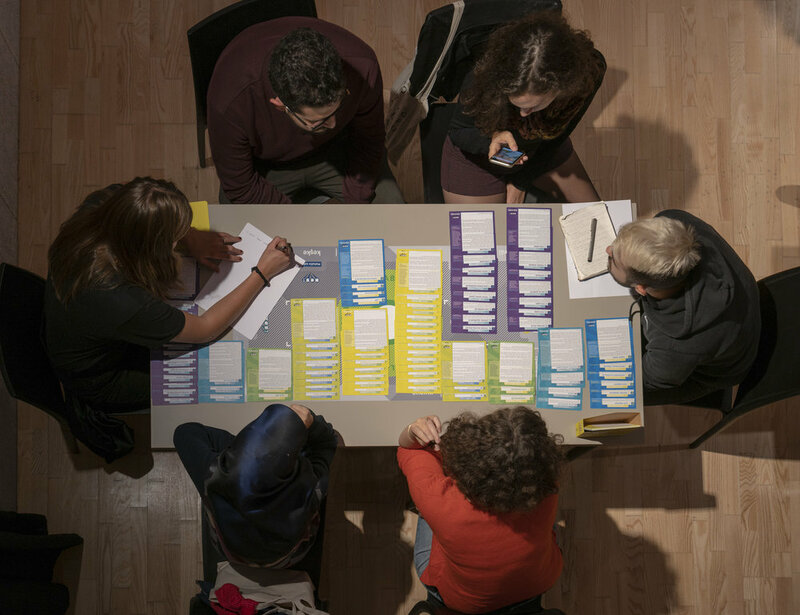 A game to make you take action like facilitating workshops with citizens or participating in a public space transformation. Use HEY! Imaginable Guidelines Card Game to open up conversations around the issues in your neighborhood. You are equipped to co-design a beloved, fluid and more livable city. Allow the topic cards to guide you! Propose a schematic urban design solution. Reach-out to actors needed for change. Identify the resources and expertise needed to move forward. communicate your ideas to everyone and develop your network! seek out and learn the options available to realize your city design solutions. Your local ‘Muhtar’ or neighborhood association is a good starting point. You can join us in our quest to educate about city design. As a Citizen, Educator of Supporter. Send us your custom guideline for your stated problem or share a new topic you deem to be pertinent. Please contact us at imaginableguidelines@gmail.com for details. If you would like to become a partner of the project, please contact us here.